Phil Blizzard here speaks with Alain St. Ange, minister for tourism & culture, Republic of the Seychelles, about one of their key events for attracting visitors to the island - the annual Carnival International de Victoria. Breaking Travel News: Let’s start with an overview, a description from you of what appears to be a very vibrant festival. Alain St Ange: An explosion of colour and an explosion of culture, I think these are the two themes. In this melting pot of cultures that we set as the base for the Carnival that takes place in Seychelles annually and it is where the world comes to Seychelles, where the best carnivals of the world descend. They all parade together from Brazil to Notting Hill to Dusseldorf Carnival to Trinidad & Tobago, to Italy. They are all there and then they are followed by the committee of nations through cultural groups. BTN: So, from what you are saying, instead of hopping around from London’s Notting Hill to carnivals in Brazil, you just go to Seychelles so you can see them all in one place? ASA: You see everybody in one go. Okay. Then, it might entice you to say I want to see this carnival and then you can see hours of it by flying to that respective country. But seeing, say, the Brazilians – the Brazilian Carnival walking down the road followed by the KwaZulu Natal and seeing a Zulu tribe gives you something that you will never forget. It is that diversity of culture and that explosion of culture in front of your eyes. BTN: Those countries taking place range from the very small Himalayan country of Bhutan to the Americas, so who is coming from America? ASA: Well, from the USA. Now, we have got confirmation from two groups. One is a country and western group that will showcase the American country and western culture, with one coming from Louisiana. They have an attachment with Seychelles because we speak Creole, both of us. We also are both Creole nations. This shows you that everybody has seen the merit to fly their flag and to display their culture and people in a carnival that we, as the Seychelles, have the responsibility of bringing the press out to give them visibility so that they can see the merit of being there because the press is there to cover them. BTN: Now, what I am wondering, I mean, you have a large number of islands in the Seychelles. Where is the main area of activities for the Carnival over those few days? ASA: Very simple, Phil. 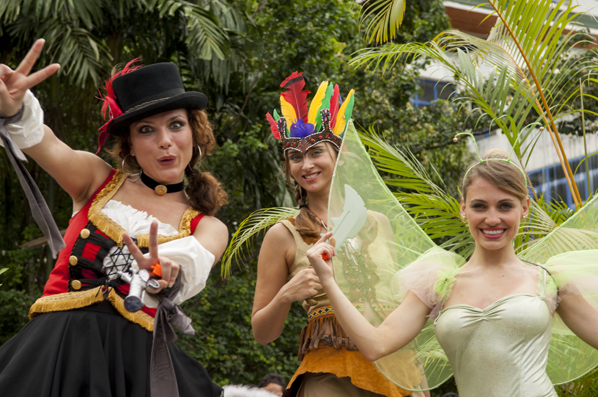 It is called the Carnival International de Victoria and it is staged in Victoria - in the centre of Seychelles. The hub of the island rallies the people. It is the smallest capital but it is a capital that has over 50 per cent of our population comes down for this event and with everybody coming from all over the world and all the tourists together, that safe little capital comes alive. BTN: I am getting a picture in my mind of people going through the streets. A lot of vibrant sounds, energy, as you say, an explosion of colours. What else is going around in these street parades? ASA: Well, I think, once the delegations have passed and showcased themselves, it is to get them to intermix with our people. It’s that developing of camaraderie, developing of personal contacts. And every year, I see that more and more. Because they met in the Carnival, they’ve developed friendships. Ah, ok and they also go and visit these people back to their own homes after that. BTN: Because my concern was, with the number of people coming in - participants - actual participants in the carnival, would there be any hotel rooms left? ASA: Well, it gets tighter and tighter but this is why I encourage everybody in Seychelles, make friends with people. Get them into your homes in that period because it will get bigger and bigger - the Carnival - and I want people to benefit from it by developing friendship. But by being able to rent a room or a house during that period. BTN: So Seychelles is set to welcome the world with an explosion of colour, as you say, April 25th-27th. So, while you are here let me grab you for a little bit longer and you can give us an overview of some of the other key events in the calendar in Seychelles. ASA: Well, the second major event we have is the Creole Festival which comes up every October. Creole Festival is particular to Seychelles because we’re the only country that Creole is an official language - written and that is taught at school. But for that festival we bring every Creole-speaking country of the world together. And if you want to see the Creole culture - in its diversity, it’s the time to come. BTN: How many countries would that be? ASA: Well, you have got Haiti. You have got the whole Guadeloupe, Martinique, Guyane. You have got New Orleans. And then you have all the islands of the Indian Ocean – Mauritius, La Reunion and Rodrigues. So, when we are all together, we all understand each other but there’s diversity. Diversity of culture, diversity in the language itself - how we speak it. And some write it and some do not write it. And diversity of music. It was an amazing thing. BTN: So, from the Creole Festival to the fact that you are surrounded by water means you must have some events connected to the sea? ASA: We have got sailing. We have got a sailing cup every year. We have SUBIOS which is our underwater festival – The Festival of the Sea. We have Africa Day because it reminds us of where we come from. We celebrate the Commonwealth as we celebrate La Francophonie. We also celebrate, as from last year, an India Day and a China Day. We wanted the five branches that make us what we are recognized, celebrated, and especially to give that due recognition that each of these people played in the building of the Seychelles that is today. 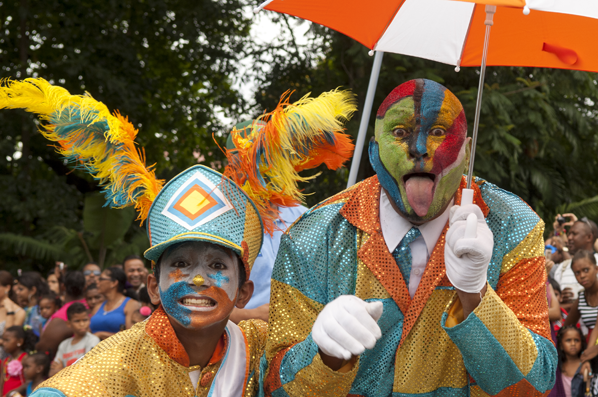 For more on the Seychelles Carnival head over to the official website.